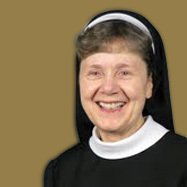 Sister Renée Mirkes, OSF, PhD is a member of the Franciscan Sisters of Christian Charity, Manitowoc, WI. She serves as director of the Center for NaProEthics [the ethics division of the Pope Paul VI Institute, Omaha, NE]. She received her masters degree in moral theology from the University of St. Thomas, Houston, TX and her doctorate in theological ethics from Marquette University, Milwaukee, WI). In her current position, she focuses on procreative and birth ethics through consultations, publications, and public speaking. To these commitments Sister Renée brings experience in clinical ethics as well as broad experience in bioethics. She has published articles in The Journal of Philosophy and Medicine; Ethics & Medics; New Blackfriars; The Thomist; Linacre Quarterly; The American Catholic Philosophical Quarterly; Catholic Answer; Our Sunday Visitor; The NaProEthics Forum; National Catholic Bioethics Center Quarterly; Ethics and Medicine, Catholic World Report and The Catholic Response.